On Friday Rosetta will finally say good bye to humans and jump right in to comet; marking the end for 12-year long eventful expedition. Built by ESA (European Space Agency), Rossetta’s primary mission is to study Comet 67P/Churyumov–Gerasimenko and send all information back to earth for further analysis. For last two years she was roaming around the comet and transmitting data back to earth. Problem is, as Comet move further away from Sun, her solar panels won’t be able to generate enough power to sustain the mission. Alternate way is to hibernate Rosetta for now and awake her later (when the comet approaches sun again). However scientists decided against this approach, as it may not be possible to wake her up later. Instead scientists decided to capture close-up data while Rosetta hit the comet in her final sprint. It’s a job well done by Rosetta and ESA team behind it (Rosetta, also had small lander called Philae which it send to the surface of Comet 67P back in Nov 2014). a. Comets Can Stick Together. b. Initial images of Comet 67P confirmed that the comet is not in round shape. 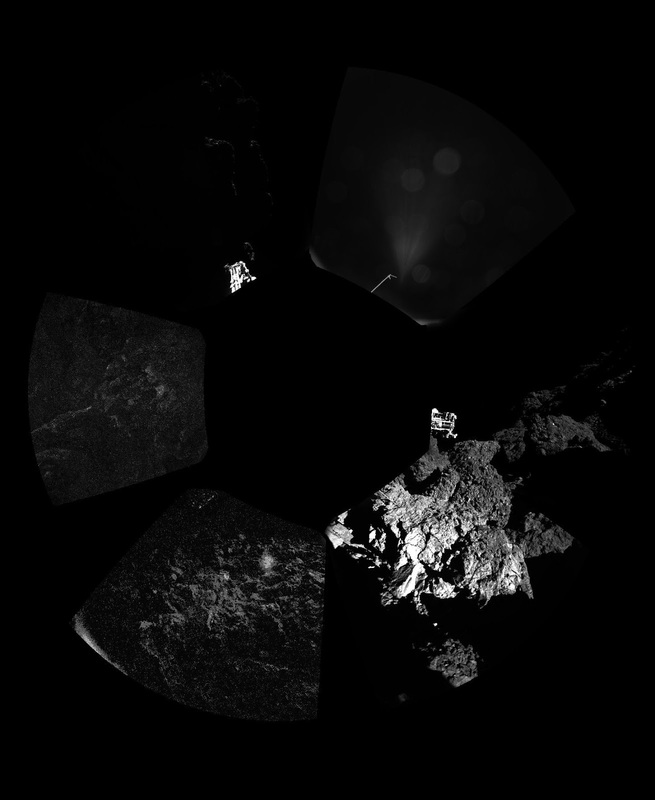 c. Rosetta’s early observations confirmed the lack of much ice on its surface. d. Scientists now know for sure that water did not come from comets like Comet 67P. Quantity of deuterium in the stream of water molecules coming off was much higher than the one in Earth’s water.